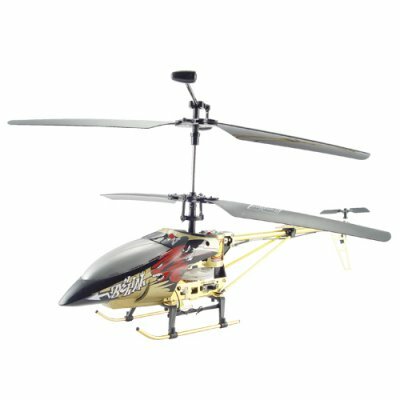 Successfully Added Large Metal RC Helicopter - Bronze Color + LED Lights (110V) to your Shopping Cart. This makes a great gadget to have for yourself, and also makes a wonderful and brilliant birthday or Christmas present. Take the CVGP-T22 to the park with you and have fun with friends and family. As always, this wonderful product is offered to you at a low wholesale cost and with no minimum order quantity (M.O.Q.). From the leader in unique direct from China electronic products, Chinavasion. Order now and take advantage of our special low prices at Chinavasion! Are the blades sharp and dangerous? No, the blades are blunt and made of flexible high quality plastic. The RC helicopter is built and designed with safety for children in mind, never-the-less it should only be operated with adult supervision.